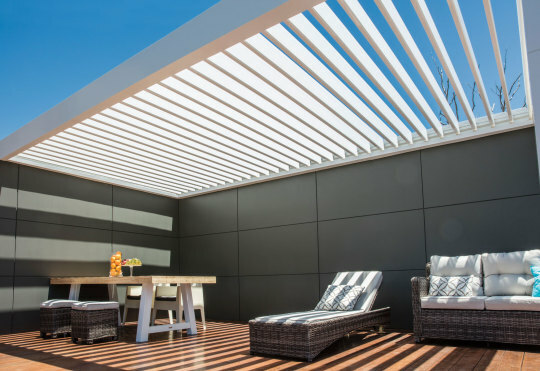 With your Stratco Allure louvres partly open, you can effortlessly manage the refreshing airflow in your outdoor living space. Angle toward the prevailing breeze to push air in and down, or angle away from the breeze to allow fresh air circulation. Enjoy a fresher outdoor experience anytime you want without losing any comfort.